Travis may seem like a typical 5-year-old boy on the outside. He is loving, energetic and not afraid to speak his mind. 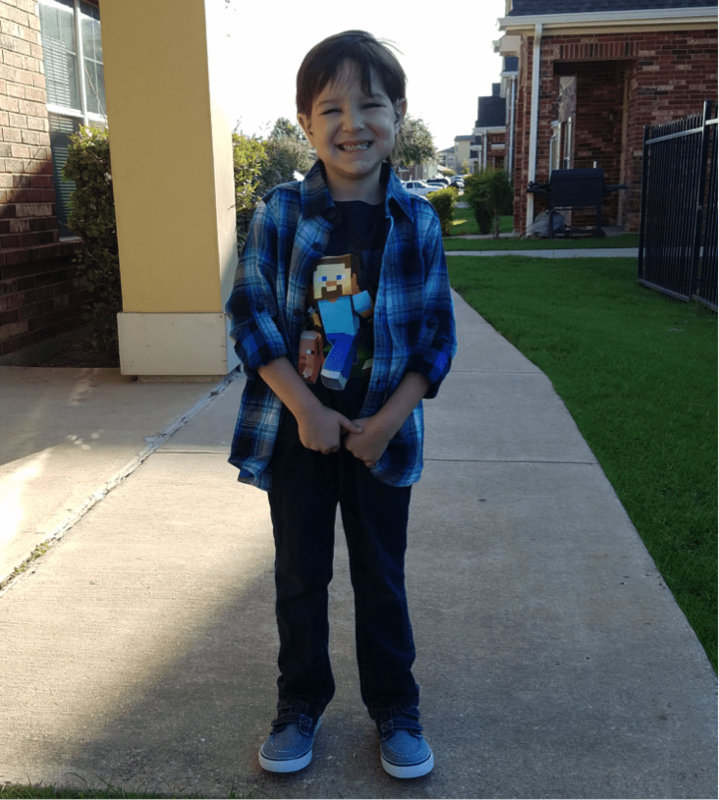 He enjoys playing Minecraft and watching American Ninja Warrior, even trying to practice his skills in hopes of doing the course when he gets older. But Travis had to give up some of the normalcy of youth when he was diagnosed with medulloblastoma, a form of brain cancer, in December 2015. He faced an aggressive treatment regimen consisting of surgery, radiation therapy and chemotherapy. Though Travis is a strong boy, it was still extremely difficult for him. Travis lives with his mom and four older siblings. Both of his parents are disabled veterans, and Amanda, his mom, is Travis’s sole caretaker. It has been difficult for her to manage the considerable amount of appointments, other children’s activities and family’s finances. Travis’s treatment added many expenses, from babysitters to fuel for the car and meals at the hospital. They lost their home because they were unable to keep up with the payments. There were also times when Amanda worried that their car would be repossessed or that she would have to sell any possessions she had to make sure her children had food. Family Reach’s generous community was able to provide the family with a grant covering the deposit and rent for a more affordable apartment. This allowed them to focus on Travis’s healing process and less on the financial strain of cancer. Travis has been in remission for seven months. He still has many hardships, but his family is helping him conquer them. This bright little boy is now having fun while attending kindergarten full time. We continue to keep Travis and his family in our thoughts! Click here to help families like Travis’s overcome the financial struggles of cancer.